Ben Dean joined Swords Wealth Management (SWM) in 2014 from a sister firm who practices the same values-based financial planning and asset allocation methodology that has served SWM clients so well over the years. Ben’s asset allocation, risk management, and client service dedication are the result of his years spent supervising and coaching advisors in the financial planning process. Ben has provided True Financial Stewardship to corporations, non-profit organizations and affluent individuals across America. 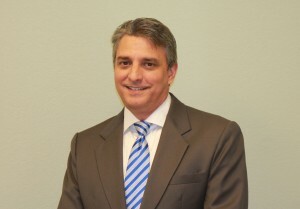 Ben started his career in the securities industry over twenty seven years (27) ago. For over twenty of those years he has been a Certified Financial Planner (CFP®). He most recently served as President of Onyx Wealth Advisors in Dallas. There he was responsible for a field of 35 Financial Advisors and personally drafted the asset allocation plans for those Advisors. Ben also served as the Investment Officer for Southwest Securities’ Investment Management Division in their downtown Dallas office. Ben graduated from the University of North Texas with a Bachelor of Business Administration degree concentrated in finance. He is married to his wife of over twenty years, Dina. They have two teen aged daughters, Calla and Lily. Outside the office, Ben enjoys his family, music, movies, and practicing his barbequing skills. Feel free to contact Ben anytime at Ben@SwordsWealthManagement.com.